Some people digest statistics like they’re eating chocolate cake. Others would rather eat a bug. But you have to admit, knowing the numbers can help you in your preparation and execution of your tradeshow marketing program. So let’s look at a few statistics and see which way they’ll lead you. 88% of companies participating in tradeshows to raise awareness of their brand . The cost of a face-to-face meeting with a prospect at a tradeshow is, on average, $142. The cost of a face-to-face meeting at a prospect’s office is $259. Just 22% of tradeshow exhibitors start planning their tradeshow marketing 1-2 months ahead of the show. 22% start planning 2-4 months prior to the show, and 18% are getting ready 4-6 months ahead. It takes an average of 4.5 sales calls to close a sale without an exhibition lead, but just 3.5 calls to close a lead from an exhibition. 81% of exhibitors use email to follow up on their tradeshow leads. Total attendance: 182,198. That includes exhibit personnel, media and industry attendees, domestic and international. Social media mentions of the show reaches 1 million. Views of the CES Snapchat Live Story reached 49 million. CES received a total of 107,120 media mentions and more than 71 billion potential media impressions in January 2018 alone. Watch that page for the 2019 numbers this spring. B2B events revenue worldwide amounted to $30.3 billion in 2016, up from $29.3 billion a year earlier. The average ROI for events is in the 25-34% range. But almost one in five companies don’t know their ROI. 93% use social media in their B2B marketing strategy, and 58% of marketers use social media before, during and after their events. Dig into the numbers at your leisure – there’s a lot there to unpack and digest. And don’t forget the chocolate cake! This is such an informative article! 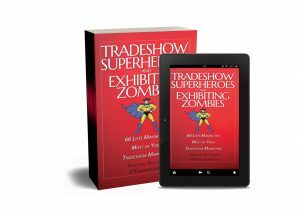 I agree that it is really important to know your audience and their thought process before planning the design and plan of your tradeshow. 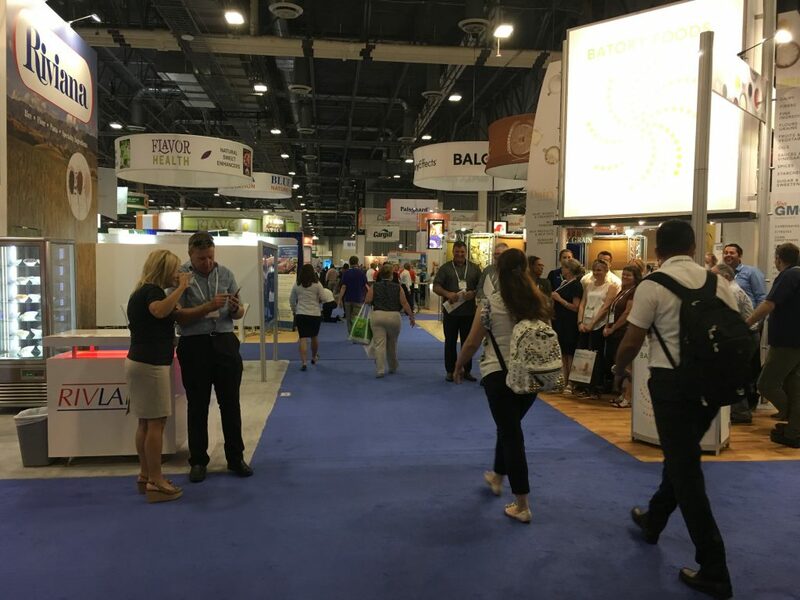 Tradeshows have always been an important part of building brand awareness, networking with other businesses and connecting with potential customers. The design should facilitate all this.